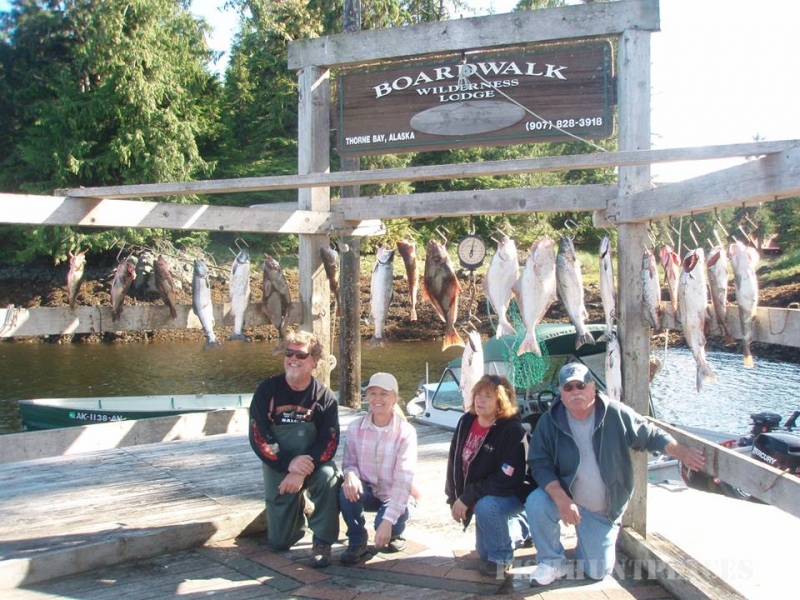 Fresh and saltwater fishing opportunities abound at Alaska’s Boardwalk Lodge, and both are mere minutes from the lodge. This fully-guided, oceanfront fishing resort gives you exceptional freedom and complete control of your angling experience. It’s your choice: Will it be saltwater or freshwater fishing today? Saltwater or Freshwater Fishing… It’s up to you! 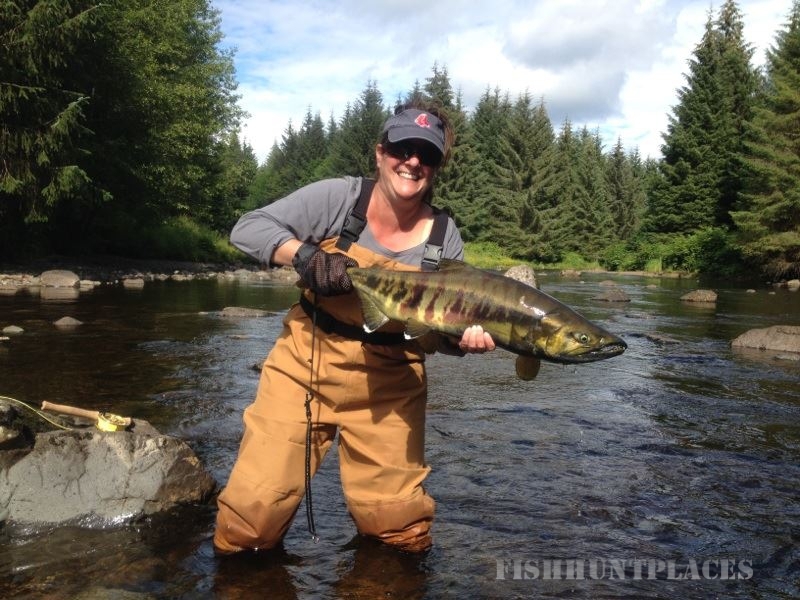 Our assortment of native fish species is truly astounding, including native Steelhead, King Salmon, Silver Salmon, Alaska Halibut, Pink Salmon, Cutthroat Trout, Dolly Varden and much more! Regardless of your tastes, Alaska’s Boardwalk Lodge caters to your needs. 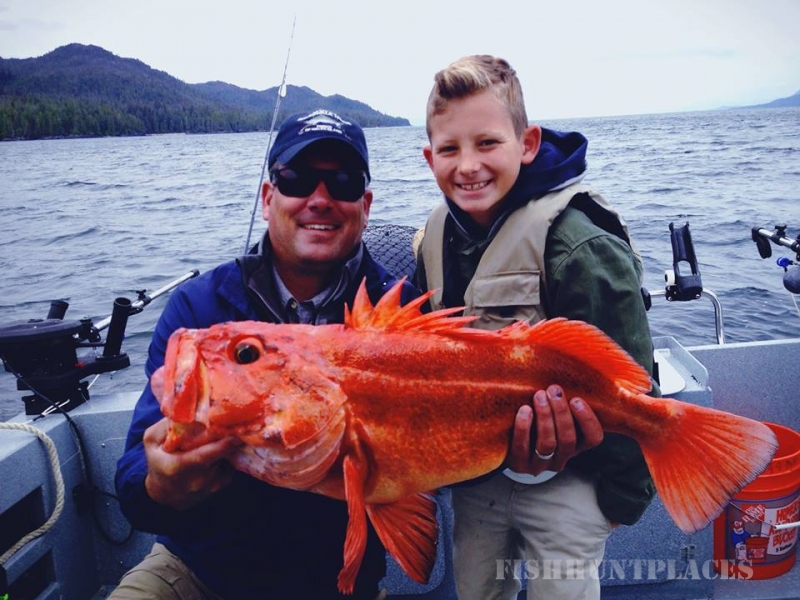 Saltwater Fishing — Our saltwater skippers launch thrilling saltwater fishing excursions straight from our dock — venturing out into the protected inlets of Alaska’s famed Inside Passage. 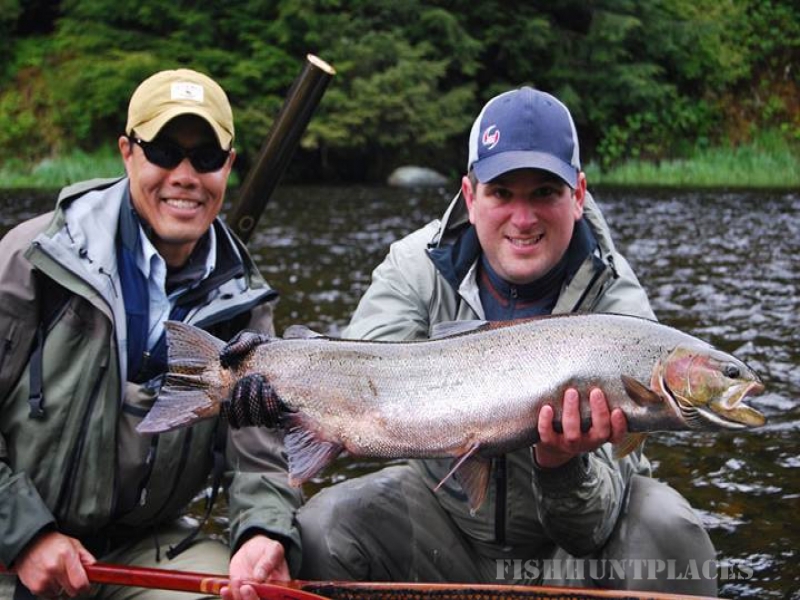 Freshwater Fishing — Experienced Alaska freshwater guides shuttle you to 23 productive rivers, lakes and streams nearby. Fly Fishing — If fly fishing is your bag, you’ve come to the right place… There’s no need for a fly out to get to the action. Our Orvis Endorsed guides will treat you to an exciting day of fly fishing right here on the Island!